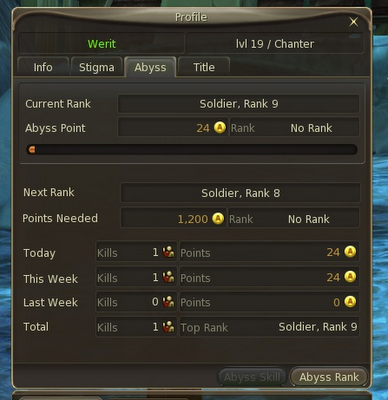 Abyss Points are Aion's PvP currency. 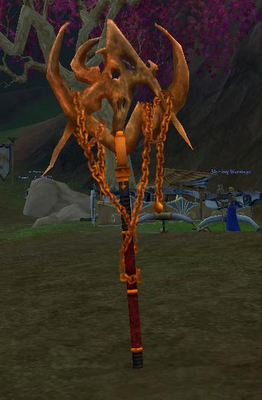 They are gained through PvP and PvE activities within the Abyss Zone. They are used to purchase equipment and gain rankings. For a list of rankings and a great Abyss overview, check this out. When you die to a player or Baldur NPC, you will lose Abyss Points. The amount depends on your rank. On the plus side, point loss gives PvP some meaning. Not only do you gain points, you basically take them from your enemy. Players will be a bit more careful about PvP and not just throw themselves into the meat grinder. There is also a downside that comes with this point loss system. The higher rank players get, the less they will engage in PvP. Here is an interesting post to illustrate the point. As you work through the ranks, the amount of Abyss Points you lose when killed increases. For example, if you are a 3 Star Officer and die, you lose 2,184 points. If you kill a Grade 8 Soldier, you gain 168 points. The risk/reward ratio gets more imbalanced the higher your rank. 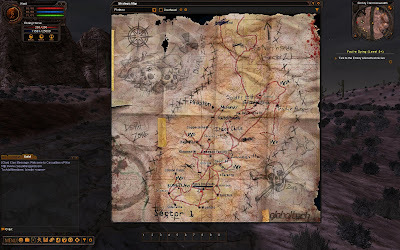 Lord of the Rings Online had a similar system in their PvMP using stars and battle rating. Many players despised the system because it encouraged players not to fight most of the time. It was only worth fighting when you were sure you would win. 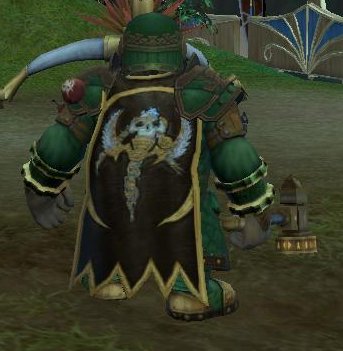 The LoTRO stars were totally cosmetic and it had a noticeable effect. Turbine eventually removed/hid the stars. Contributing to the problem is the amount of PvE alternatives in the zone. The player in the post mentions he just does PvE quests to gain his Abyss Points. Why wouldn't he? It is less risk and more reward. Overall, I think some risk is good in a PvP game. I do wonder if Aion's system is the right way to go about it, as it encourages PvE in the higher rankings. It will be interesting to see how the mass market NA audience does with the point loss system.